Chronically low Vitamin D levels are likely linked to an increased risk of dementia and multiple sclerosis (MS), according to studies published in the journals Brain and Neurology. The Neurology study is the first large, prospective, population-based study to examine Vitamin D concentrations in relation to lifetime risk of dementia and Alzheimer’s disease (AD), the most common form of dementia. Researchers observed a strong connection between low levels of Vitamin D and the risk of both incident all-cause dementia and AD. 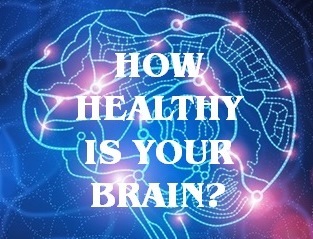 The Brain study is a robust meta-analysis of dozens of research efforts on the link between low Vitamin D levels as an environmental risk factor for MS. So why would Vitamin D be an environmental risk factor? Because the move from an agrarian, outdoor lifestyle to a rapidly urbanizing setting over the last 200 years or so has greatly reduced daily exposure to sunlight, the primary method our bodies use to synthesize Vitamin D. Changing dietary patterns (fresh natural foods –> processed/fast foods) have also played a role. What’s the Right Level of Vitamin D in Your Body? The only accurate method to determine the level of Vitamin D in your body is through a blood test, typically referred to as a 25-Hydroxy or 25(OH)D test. The general consensus on optimal levels of blood serum Vitamin D is between 20 ng/mL and 30 ng/mL (U.S. Institute of Medicine & Endocrine Society). The recommended daily intake of Vitamin D ranges from 600 IU (U.S. Institute of Medicine) up to 2,000 IU (Endocrine Society). The human body is very adept at using sunlight to synthesize Vitamin D – about 15 minutes of direct sunlight on the neck, and uncovered arms & hands is enough to produce 1,000 IU of Vitamin D for a person with light/fair skin. People with darker skin typically need about double the amount of time in the sun. Fish (salmon, herring, trout, catfish, cod liver) are excellent sources of Vitamin D, typically delivering over 2,000 IU per serving. Fortified cereal, milk, and orange juice are other good choices. If serum levels of Vitamin D stay chronically below 20 ng/mL, Vitamin D supplements can be useful, at around 1,000 IU – 2,000 IU per day. 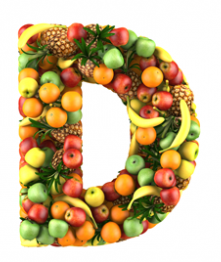 However care should also be taken to avoid very high levels of Vitamin D in the body (hypervitaminosis D) – blood serum concentrations of Vitamin D that are over 100 ng/mL are generally considered toxic levels. Vitamin B toxicity which can cause calcification and damage to internal organs, particularly the kidneys and blood vessels.